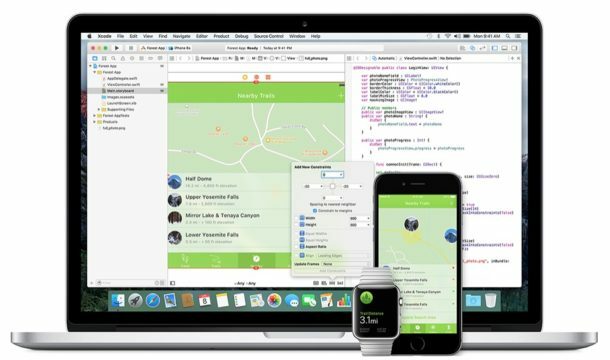 Apple has released the second beta versions of iOS 10.3.2, macOS 10.12.5, tvOS 10.2.1, and WatchOS 3.2.2. Users enrolled in the operating system beta testing programs can find the latest beta builds available through the software update mechanism in iOS Settings app, the Mac App Store, the Watch app on iPhone, and the Apple TV settings app. No major new features are expected in any of the releases, and instead the point release updates will likely focus on bug fixes, security improvements, and minor enhancements to the various Apple operating systems. While anyone can enroll in the public beta testing programs or choose to become a developer for developer beta access, generally speaking beta system software releases are aimed at advanced users only and not only primary hardware or devices. This is due to the buggy nature of beta builds, which can lead to unexpected performance issues. The most recent final version of system softwares from Apple include iOS 10.3.1 for iPhone and iPad, and macOS 10.12.4 for Macintosh. Thrilling. I am so excited for another round of backing up my devices for several hours then updating them for several hours and crossing my fingers that nothing goes wrong so that the entire weekend isn’t consumed by restoring from backups! All for a couple bug fixes too, so worth it! I just love the endless software updates from Apple that they force on you constantly with relentless pop-ups and harassment, it’s so great! Remember when people used to make fun of Clippy in Microsoft Office for being annoying? Boy were they shortsighted, little did they know Clippy was a trailblazer and something even more annoying was coming to software updates! This is a beta version update. It’s not forced on you or anyone. And if it’s taking several hours to back up your devices, and then several hours to update them, then you’re doing something seriously wrong. Many of us appreciate these notices of new versions and updates – thanks to the OSXDaily writers! Agreed with OB Rogers…you never can have any confidence in these updates…meanwhile, Android updates almost seamlessly. Agreed with OB Rogers…you never can have any confidence in Apple’s OS X updates…meanwhile, Android updates almost seamlessly. @OB Rogers, so, why use the betas? noone is compelled to use them – scratch that – you HAVE to register to be a beta user. and it is sooo easy to unregister (System References, App Store)… when you are done, you will not be prompted again to update… and you can save your complaints for when macOS 10.12.5 final really, really comes out.